Today, the Olympic Games are a spectacle like no other. Over 200 nations and thousands of athletes compete over two weeks of games in many competitions, all coming together to form one of the most extravagant and expensive events on the planet. Some modern Olympic traditions, such as the carrying of the torch, the opening ceremony and the medal ceremonies, are nothing short of iconic. The Olympics, of course, originated in Ancient Greece — the first recorded games took place in 776 B.C. — and to say that they were a different beast in days gone past would be quite an undersell. From the ideology to the events to the participants to the experience as a whole, the very first Olympic games were almost unrecognizable from those of today. 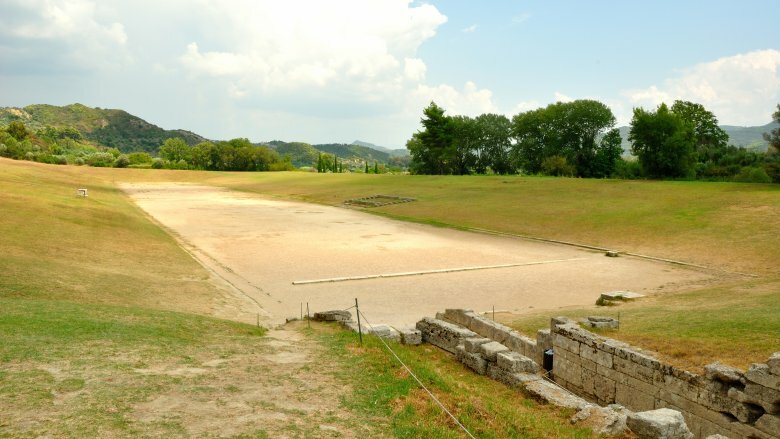 The first Olympics were rooted in mythology and religion. Whereas the modern event is an entirely secular affair, the Greek version of the games were a deeply spiritual event. Paul Cartledge of History Today explains that the original games were "literally a religious exercise — a display of religious devotion and worship." Performances and competitions were dedicated to various gods, the prizes had a spiritual bent to them (olive crowns made from leaves taken from sacred trees) and the winners were revered as having been "touched by divinity." Sacrifices, hymns, and religious processions were all a major part of the early games, and the name of the event itself is taken from Mount Olympus, the home of the gods, ruled by Zeus — who was the god most readily worshiped by attendees and competitors at the games. 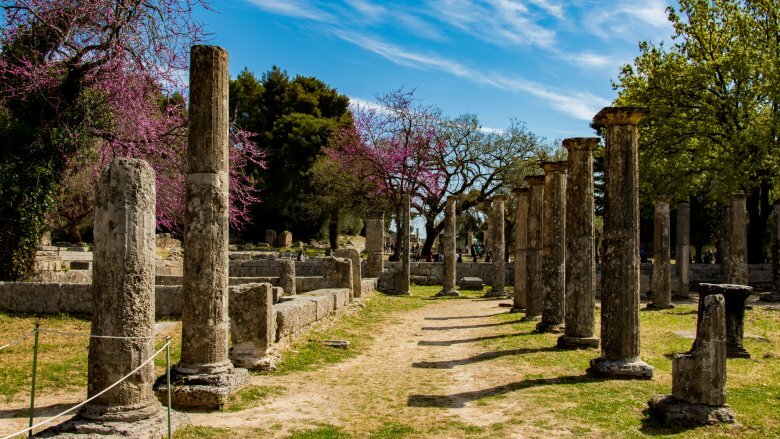 Whereas the modern games take place in a different country each time — in which massive stadiums, complexes, and other buildings are made specially for the games — the Ancient Olympics always occurred at the same place: Olympia, located on the Peloponnese peninsula. 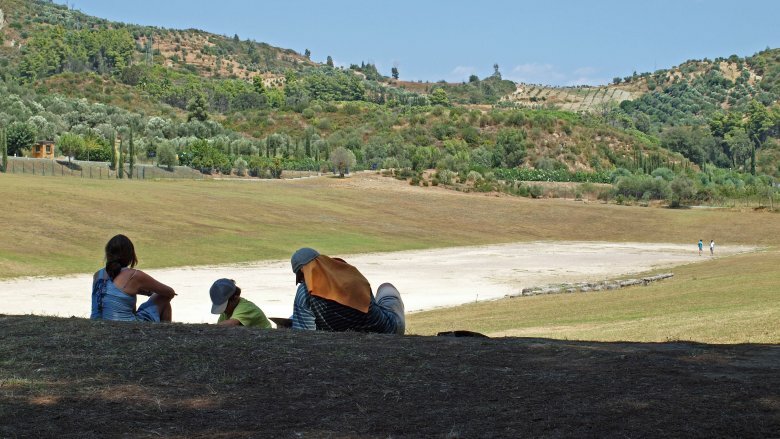 The site at Olympia, during antiquity, was — according to the modern organization — filled with votive buildings, elaborate shrines and sporting facilities, surrounded by the natural beauty of the Peloponnese. 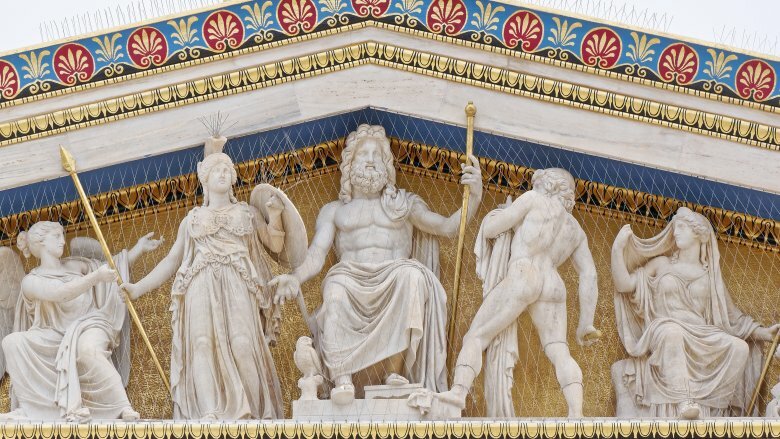 The most famous of the temples to have existed at Olympia is the Temple of Zeus, built in the fifth century B.C., which contained a 50-foot statue of Zeus himself made from ivory and gold: one of the Seven Wonders of the Ancient World. Sadly, the temple was mostly burned down in 426 A.D., and what remained fell to earthquakes soon after. In the 20th century, the Olympics have occasionally gotten mixed up in world history — in 1916, 1940, and 1944, the games were canceled because everyone was too busy playing a different game called "World War." While the modern games are often affected by conflict, however, the ancient games themselves affected conflicts. Before the beginning of each Olympics, ambassadors would be sent from Olympia, Delphi, Isthmia, and Nemea all across the known Greek world. Their job was to announce and enforce a sacred truce, which was to cover Greece for the duration of the games. While not every conflict was ended, any which was likely to hinder the games had to come to an end. The truce also protected any travelers who were traveling to Olympia (which was a designated sanctuary) and forbade any fighting against or by the city that was organizing the games that time around. The truce was, of course, sometimes broken. The punishment for the perpetrating state would be exclusion from the games. Everyone knows you can't play with your friends if you've been fighting. The 2016 Olympics consisted of 28 different sports and events. By 2020, that number will jump to 33 with the inclusion of baseball, karate, skateboarding, climbing, and surfing. Things were very different in the early games, however. For the first 13 Olympic Games, there was only one event: the stadion race, which consisted of a single run up the length of Olympia's stadium. 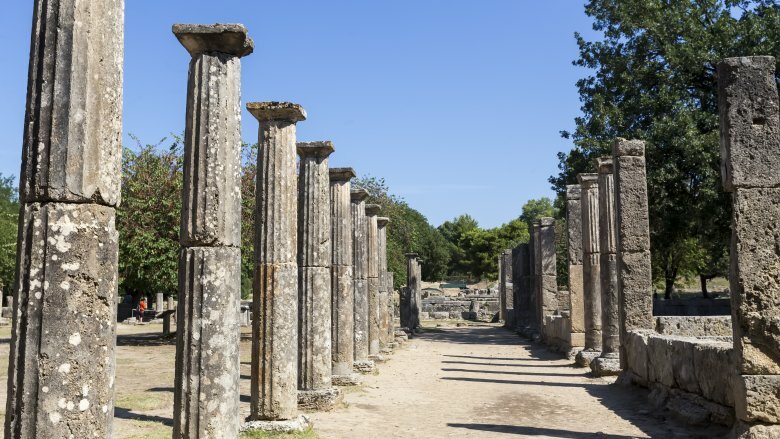 According to the BBC, the exact length of the race is unknown, since the stadium ruins that can be seen at Olympia (which are about 600 feet long) were built later in the event's history. 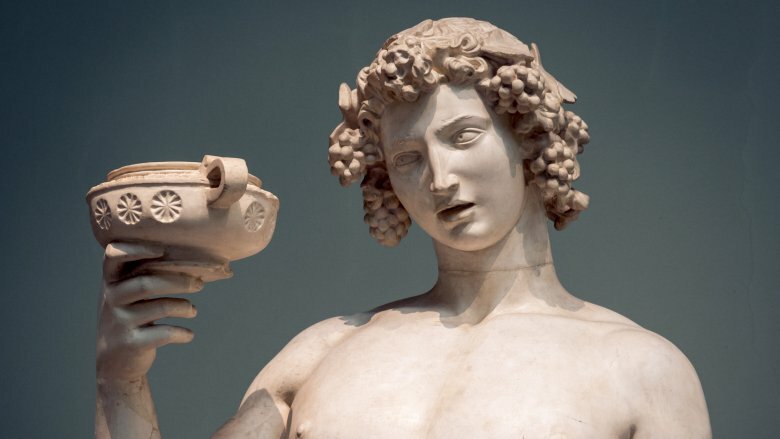 Later, the diaulos — a there-and-back race — was introduced, as was a long-distance run known as the dolichos. 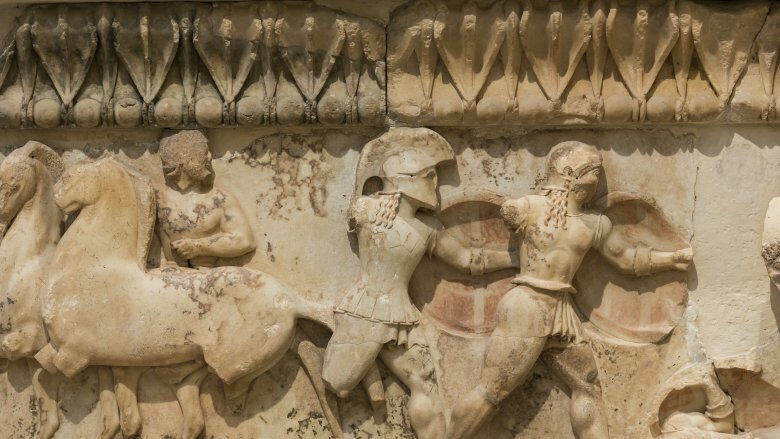 After that, the Greeks introduced boxing, wrestling, the terrifying pankration (basically early MMA), the pentathlon, and the horse-and-chariot race. The Ancient Olympics didn't find its limits with the games themselves, though — the event was far, far bigger than that. Today, the sports are everything, but the Greeks expanded the Olympics to include a whole host of other forms of excitement. It was what author Tony Perrottet calls a "total pagan entertainment package." Aside from the sacrifices and religious processions, there were artistic events aimed at showcasing new writers, painters, and sculptors. Elsewhere at Olympia, you could find fire-eaters, palm readers, and pleasure workers, all entertaining the crowds of spectators who would flock to the site to enjoy the games. The Olympics of Ancient Greece were, in a way, more akin to a modern music festival than they are to the modern games — albeit with more athletes and fewer terrible pop-rock acts. You can definitely chalk this one up as something that wouldn't fly in the modern games — the Ancient Olympics forbade married women from attending. 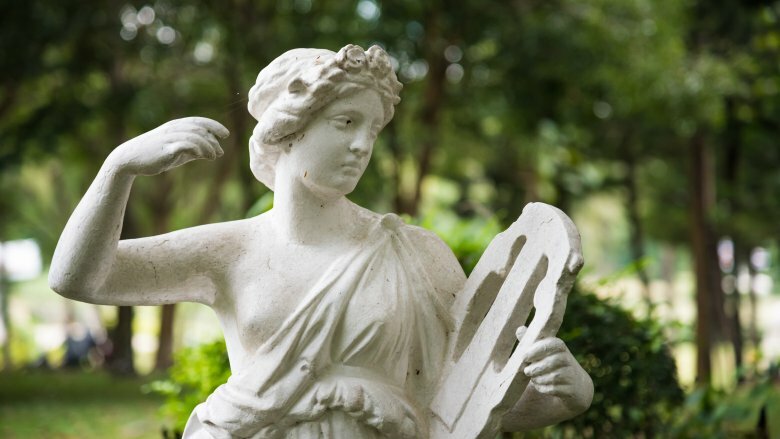 According to the University of Pennsylvania, women were instead given their own separate festival in reverence of the goddess Hera. Far less is known about this festival than about the Olympics themselves. 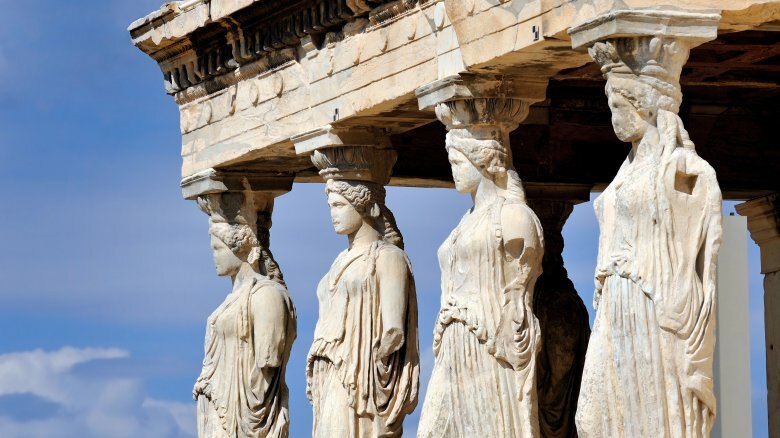 A Greek traveler known as Pausanias, who wrote in the second century A.D., mentioned that it was organized by a committee of 16 women from the cities of Elis, that it took place every four years (like the Olympics), and that contestants wore loose hair and a tunic that hung to their knees and covered the left side. There were athletic competitions, but only unmarried women could participate. Once you're married, you stop liking sports, you know? The Ancient Greeks were surprisingly good at recording the various happenings and goings-on at their games over the course of history, and this is especially true when it comes to the victors. To win at the Olympics was considered a divine victory, and so the athletes who succeeded had their names taken down to be remembered by history. Thanks to this, we know that the winner of the stadion race during the first ever Olympics was a cook from Elis known as Coroebus, according to the International Swimming Hall of Fame. We also know that athletes from the region of Elis were the sole Olympic victors for 14 straight games after they began. Other famous victors included Leonidas of Rhodes, who won all three events in four consecutive Olympics, and Herodoros of Megara, who, while not quite an athlete per se, won ten consecutive trumpet competitions at the games from 328 to 292 B.C. Today, anybody can technically enter the Olympics, though the only competitors tend to be professional athletes. It's worth remembering, however, that professionals were not actually permitted to attend the Olympics until the late 20th century. Since the Greek games were entirely amateur (Coroebus of Elis was a cook, remember), it might be argued that the ancient version of the event was more inclusive than today's. Up to a point, that is. Those who were excluded from participation in the games included non-Greeks, slave, murderers, the sacrilegious, and anybody who broke the Olympic Truce. Entire cities could be barred from entry, such as Sparta, which was disqualified in 420 B.C. over the truce. The Olympics counted a few celebrities among its ranks, too — Philip II of Macedon won the horse race in 356 B.C. and the chariot races in 352 and 348. 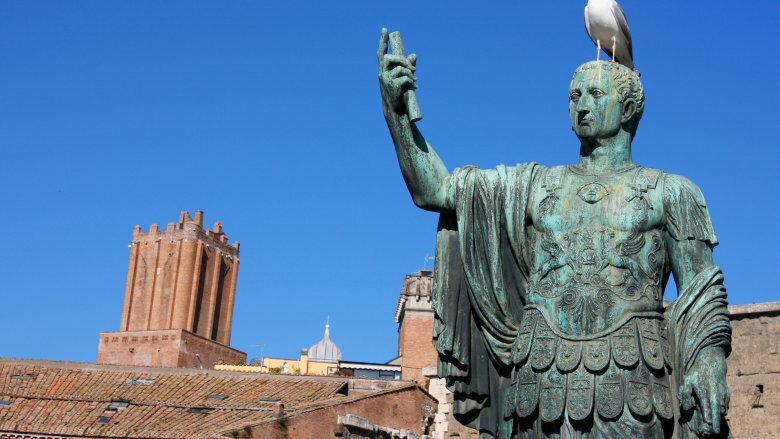 The Roman Emperor Nero later won every event he competed in at the games in 56 A.D., though you have to wonder if he was really an amazing athlete or if maybe no one wanted to get on his bad side. It's easy to view the experience of attending the Olympics as nothing more than showing up, sitting around the stadium, watching the games and going home — after all, that's how it works nowadays. That wasn't so much the case in antiquity, though. According to author Tony Perrottet, the event was much like a "badly planned rock concert, the Woodstock of antiquity." The best way of picturing it, says Perrottet, is to imagine a stadium that holds 45,000 spectators but has no seats. Then you have one hotel, no sanitation, people sleeping in tents, some al fresco" and a "dried-up river" which attendees would have used as a toilet. Diseases were commonplace and spread easily through the large crowds, to the point that people made sacrifices to prevent the flies and insects from descending on the festival. Which, OK, that does all sound a little like some modern festivals. The end of the ancient games was often spectacular. According to the History Channel, the fifth day of the games would end in a massive victory banquet. 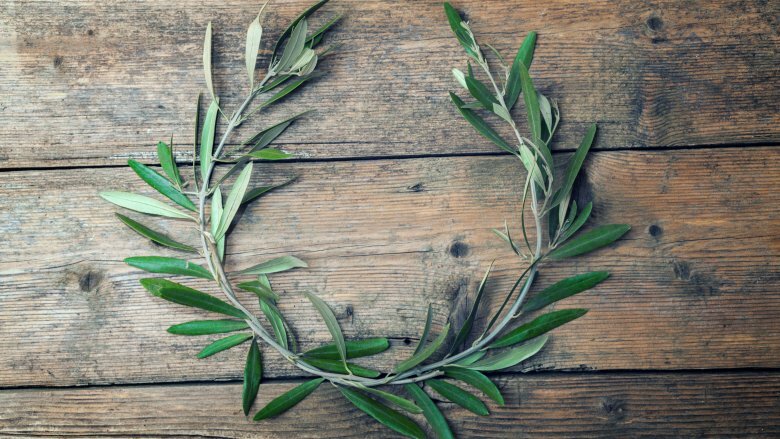 A procession would take place to the Temple of Zeus, where each winner — each confident that his name would ring out through history, an even bigger deal for the Greeks than for anybody else — would be given the iconic wreath of olive branches, and the crowds would shower them with flowers. After this the athletes and attendees would feast, drink, and revel into the night. The next morning, everybody would return to the city-states whence they came. Four years later, just like today, they'd all reconvene to do it all over again.